The Wild Fury slot is made by IGT, has a retro theme, with the primary colour employed being varying shades of blue. The audio effects are synth-based and are loud. 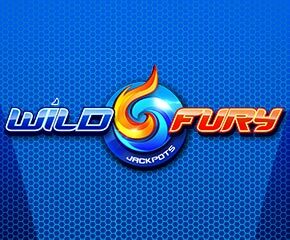 Wild Fury slots online game has 5 reels, 4 rows and 10 paylines. The icons on hand consist of a total of 6 varied gemstones, blue and red 7s, blue and yellow dragons, stacked wilds that are represented by balls of fire and playing card values. With just 10 paylines, the payout here can get frightfully big, with the wild icon paying out up to 50x the bet when enough of it is landed on the reels. The blue and red 7s, on the other hand, pay out 10x the stake, with the other icons paying lesser amounts. Jackpot Free Spins – In the Wild Fury slots, the game logo is able to show up singly on the middle reels, with this triggering 10, 15 or 20 free spins. More free spins are available from within this round. There are also some internal jackpots, with the players guaranteed to get ahold of one. The particular jackpot that the players receive is, however, determined by how many wilds players accumulate during the bonus round. With fewer than 20 wilds, the jackpot starts at 8x the stake. 20 to 39 wilds, on the other hand, enables a jackpot prize of 12.5x the stake, with 40 to 64 wilds getting 50x the stake and over 100 wilds making possible a jackpot prize that starts off at 200x the stake. These jackpot wins are enhanced by the provision of either a level-up or a double level-up tile on the 3rd reel. This effectively doubles or triples the original jackpot win that was awarded. This can as well be boosted to a maximum of 10x, with the maximum allowable jackpot win using this feature being set at 2000x the stake. 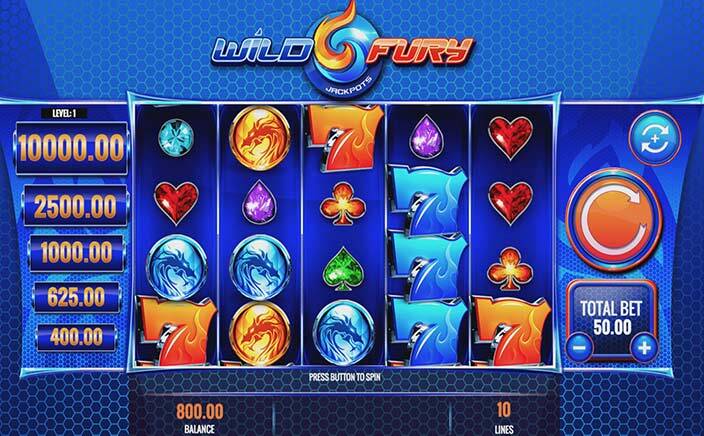 The Wild Fury slot has more than decent graphics and a bonus feature with few peers. This slots online game delivers sufficient doses of fun and thrills to spice up both life and leisure!